Our innovative technology will have a fundamental impact on science and industry, and potentially on the quality of life for millions of individuals. From the engineering of pathways to support drug discovery, the creation of variation in biologically active molecules such as polyketides, vaccines and antibodies, the biosynthetic production of drug molecules and the engineering of tools such as CRISPR for cellular engineering, there is huge amount of opportunity for synthetic biology to impact pharmaceuticals and drug discovery. Synthetic biology offers a massive opportunity to generate products by fermenting microbes. The world’s reliance on petroleum-based products, which reach into every aspect of our lives, is having serious environment consequences. By evolving and selecting enzymes, microbes can be engineered to produce a vast array of products derived from starch, cellulosic sugars and other sources of biomass. Biological processes offer an opportunity to generate environmentally safe, biodegradable and high-performance materials. For example, spider silk exhibits an unique combination of high tensile strength and extensibility. A number of companies are developing variants of silk genes, but high-throughput techniques will allow many more opportunities to be explored from performance outdoor gear, automobile parts to medical devices. The array of synthetic biology applications available to agriculture includes engineering plants to express metabolic pathways for products that enhance the nutritional or health value of food or that are anti-fungal or insecticidal and thus reduce reliance on pesticides. Alternatively, accelerated evolution of microbes could be directed towards highly desirable processes such as nitrogen fixation. The demand for data storage is growing exponentially, but current storage modalities (magnetic and optical media) do not have the potential to keep pace with need. DNA is extremely dense and long-lasting, so ideal for long-term storage. However, for widespread use, the cost of DNA synthesis will require significant reduction, and only a disruptive approach will achieve this. Synthetic biology provides the opportunity of enhancing the nutritional content and creating new foods that address the needs of the developing world. Engineering microbes to improve the content of vitamins and other bioactive molecules in foods such yogurt, cheese and cereal-based products are examples of the impact of synthetic biology on the food we eat. 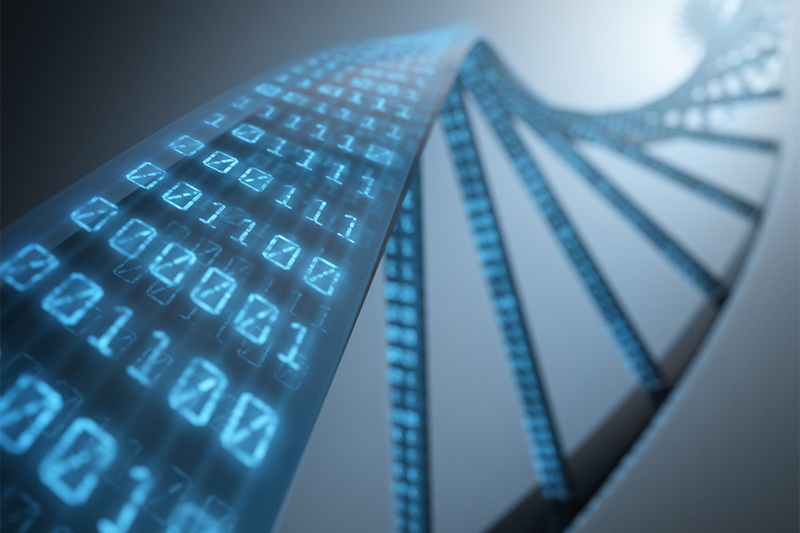 The ability to synthesize DNA at scale will enable many more opportunities in this area.